Wordsworth spoke about “emotions recollected in tranquility” as the basis of writing. I’ve been doing quite a bit of this lately, seated on my patio enjoying the early morning shade of oleander, date palm and bougainvillea. Here’s what today’s tranquility threw back at me. A little bit of New Zealand in Ethiopia. Hudad Lodge meets Ponui Island. “You have to be careful,” a friend had said before we’d left Riyadh, “ Don’t walk around at night. You’ll fall off the edge.” I didn’t fully appreciate the truth of her words until we arrived. 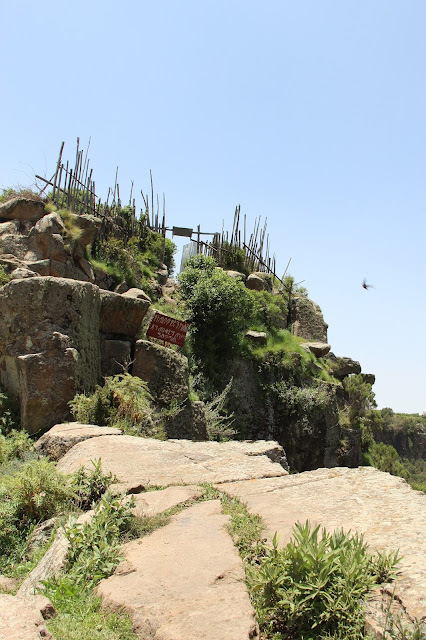 Hudad Lodge is perched on a small plateau at the very top of Abuna Yosef Mountain in the Northern Ethiopian Highlands. It's a two hour uphill rocky scramble to get there. The sheer drops on all sides mean spectacular views, but also potentially spectacular falls. “It’s the Ethiopian take on Riyadh’s Edge of the World,” I said later to my husband, “just a different colour palette.” Riyadh is situated on a plateau and we too have breath-taking edge of world escarpment views. It’s funny how memories crystallise, building new associations between past and present. There were things about this place that reminded me of a small island I’d visited off the coast of Auckland called Ponui. Firstly, it was the donkeys. 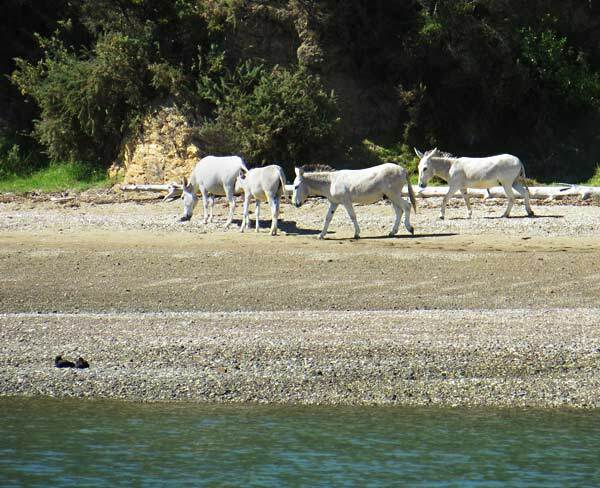 As you approach Ponui, they’re the first things you see, grazing along the foreshore. Those who put up tents in the same area might lift a tent flap first thing in the morning to find a donkey or two staring them in the eye. 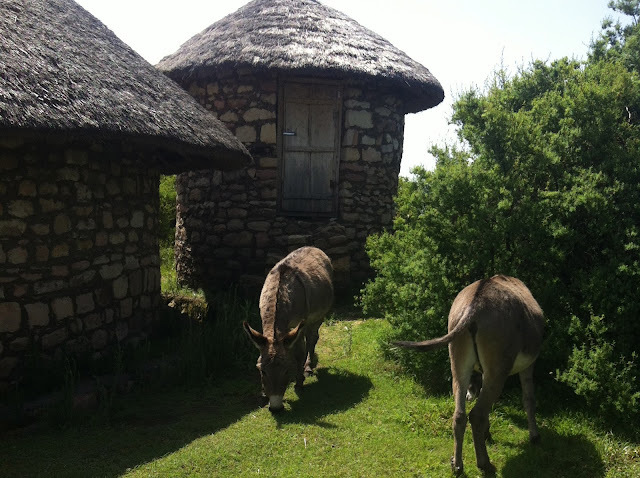 Here we had mules not donkeys, but they also grazed freely and also greeted us first thing each morning when we opened the small door of our thatched mud tukul. Hudad Lodge is eco-friendly. Beside our hut was our ensuite long drop, not too dissimilar to Moonshine or Starshine, the names given to two of the long drop toilets on Ponui. 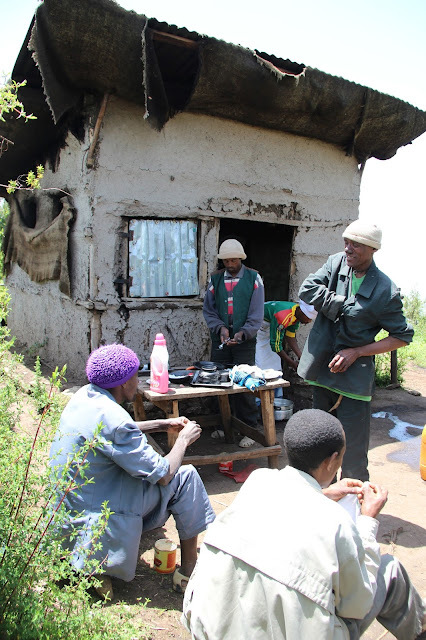 We had no power or running water, even more primitive than Ponui, but our tukul nevertheless had its own particular brand of rustic charm and comfort. The nights were very cold. Extra layers of clothing were placed on our bed and large sized plastic water bottles were filled with hot water to place under the blankets. In the morning this same water, now cold, was intended for our washing, and gravity showers. I'd read about gravity showers as a feature of Hudad and wondered what the term might mean, thinking along traditional lines of shower and overhead faucet. When I saw the basin and bottle of water beside our bed, I understood the euphemism. Then of course there was the food. I remember the meals at Ponui with affection. 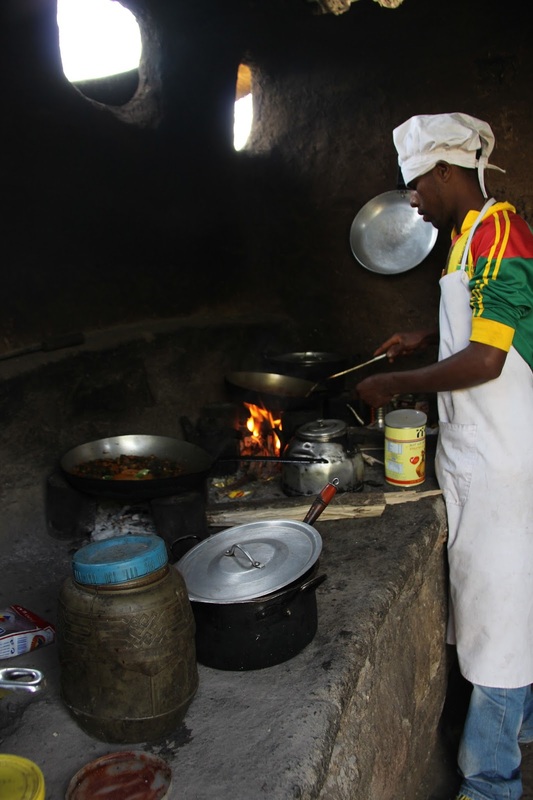 The kitchen team coaxed and cajoled the oldest and most temperamental of ranges into producing mouthwatering meals. Most supplies were brought over by barge from the mainland, but some was locally sourced. I remember a delicious cheesecake made with mulberries, freshly picked from a gnarled old tree further along the shore. At Hudad, all supplies had to be carried up the narrow goat track on the backs of mules. The kitchen was small, dark and primitive. The head cook, oddly resplendent in white chef’s hat and apron worked inside the cookhouse. Outside the sous chef chopped vegetables. But like Ponui, Hudad’s food was memorable. 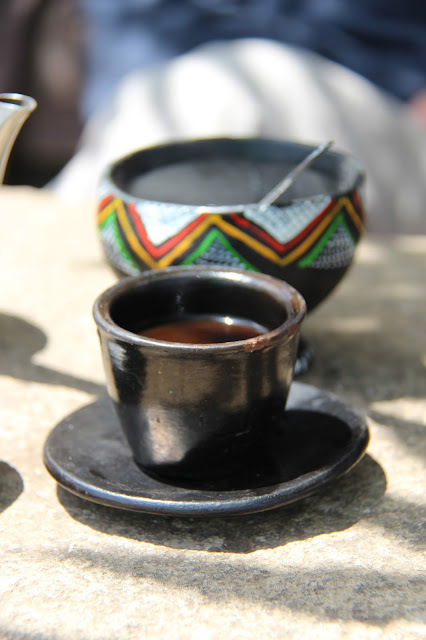 The fresh coffee or buna was the best of our entire trip. Nor will I forget the breakfast omelet, eaten overlooking the escarpment, wrapped in a gabi and watching the morning unfold in front of me. Ponui is a sanctuary for kiwis. There’s a research and conservation programme in place and numbers have soared. Hudad Lodge too is a sanctuary, but for a different kind of wild life. We saw Ghelada baboons and many, many birds including kites, eagles and lammergeyers.